Gene Liao, professor of engineering technology and electric-drive vehicle engineering at Wayne State University, has been invited to join the new Expert Educator Team (EET) for the Aligning Technology and Talent Development initiative of the Lightweight Innovations for Tomorrow (LIFT) manufacturing institute, the Association of Public and Land-Grant Universities (APLU), and the National Center for Manufacturing Sciences (NCMS). This initiative was introduced in November with the goal of organizing a team of experts to identify the knowledge, skills and abilities needed in the workforce in order to implement new technologies, materials, and processes in manufacturing. LIFT and APLU selected the team from APLU’s 28 member universities across the LIFT five-state region, as well as LIFT’s other university research partners which includes Wayne State. 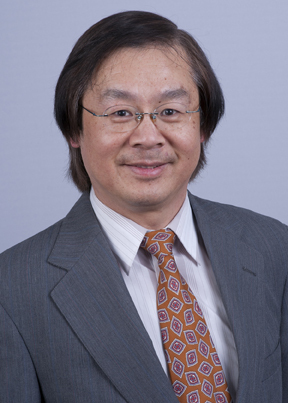 "It is my great honor to represent the College of Engineering and Wayne State University and participate in efforts to align lightweight technology development with education and workforce needs,” said Liao, whose teaching and research interests include mechanical design, multi-body dynamics, and hybrid vehicle powertrain. Established in February 2014 at the behest of the Obama administration’s National Network for Manufacturing Innovation, LIFT is a Detroit-based public-private partnership dedicated to developing and deploying advanced lightweight metal manufacturing technologies, and implementing education and training programs to expand U.S. competitiveness and innovation. The organization’s regional focus encompasses Michigan, Ohio, Indiana, Kentucky and Tennessee.